Please meet Independent Ivan! Ivan joined us along with his 2 litter mates when the owner could not keep them, skinny and full of worms! 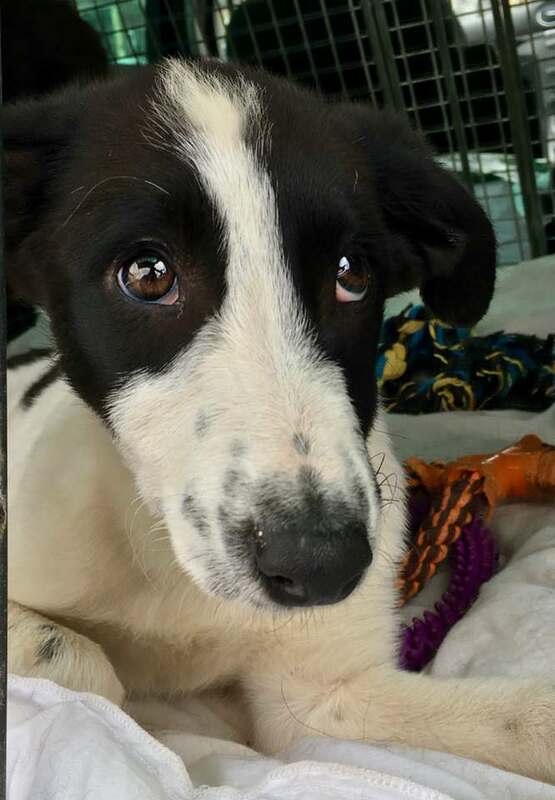 Ivan is 12 weeks old and would make a fantastic addition to his new family – he is a blank canvas just waiting to be trained and adored! 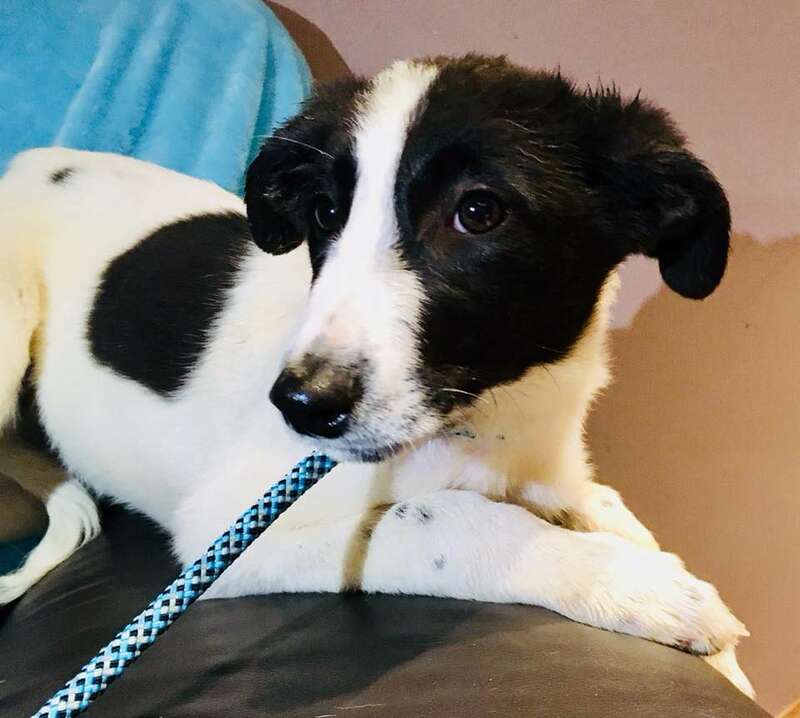 We are unsure of his breeding, he appears to potentially be a Collie cross and we anticipate he will be a medium size dog when fully grown, but the parentage is unknown, whatever he is he is gorgeous and fearless and full of character! Such a shame for such a baby to find himself homeless. Ivan is a lively happy little lad that would love a family to play with him and keep him occupied, he loves a walk and loves to greet everyone he meets! 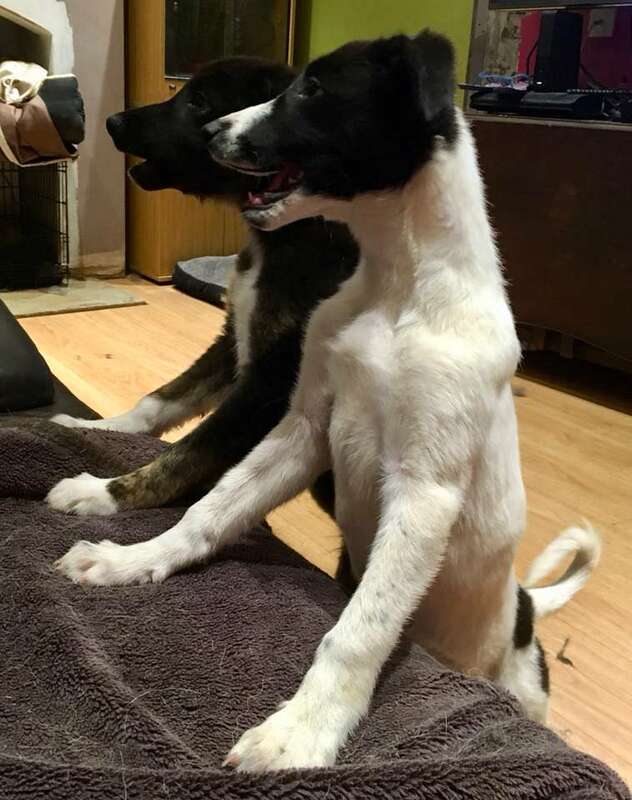 Ivan is still a pup so will need ongoing training, he is mostly house trained and is mostly non-destructive but if he can find a sock he will run off with it to play with it! He absolutely adores other dogs so could live as an only dog or with doggy companions, he has not met cats but is young enough to learn to live with them. He absolutely adores children so could happily live with little ones as long as they are used to dogs. Ivan is a gorgeous happy, bouncy active puppy that so desperately needs a forever home and family to grow up with. Ivan is fully vaccinated, microchipped de flead and wormed. He will need to be neutered when he is 6 months old. If you can offer this beautiful little lad a forever home please email for more info or a pre adoption form!